Sometimes, the journey is the vacation. If you want to head out on a road trip, you will see what the benefits are. You will get to see different places, without having to stop in one place for too long. There is some preparation that you will have to do if you want your road trip adventure to be a real success though. Read on to find out what you will need to do ahead of the road trip. The first thing to do is plan out the route that you’re to take when you’re on the road. Of course, you might want to do be spontaneous and not plan it out too much. That is an option, but you should think this through carefully in advance. You might regret it later on when you get lost, and your journey is derailed. If you ask me, it’s always better to learn about these kinds of things in advance. If you have a plan in place, you can be sure that you won’t mess up your journey. It might not be as exciting as being spontaneous, but it can make for a much better trip. Another part of planning the route is finding places where you will stop along the way. If you are sure where you want to stop, it might even be a good idea to books hotel rooms in advance. That way, you won’t be left scouting around for a hotel room in the middle of the night. If it’s the summer, then there’s a chance that many of the rooms will already be booked up. You should make sure that the route you choose for the trip has enough places to stop. If you plan it wrongly and underestimate your travelling time, you might have to sleep in the car. Road trips are not all about staying on the road though. You will need to have some ideas of what you’re going to do along the way. You should research all the towns and places of interest that you will pass along the way. Find out what they have to offer and then make your decision with the people that you will be travelling with. If you have children, then you will need to find activities that are suitable for all the family. It’s very important to plan all of this in advance though. If you don’t, then you could have trouble finding things to do later on, so don’t leave it to chance. The car will also need to be prepared for you make the trip. It’s best to give the car a complete check before you start the trip. That way, you can pick up on any faults and avoid them becoming major issues for you when you’re on the road. Upgrading to Event Tyres is the first thing that you should do. The last thing you need is for your old tyres to puncture when you’re driving. You should also change the oil and fluids in the car to make sure everything is in working order. Take extra oil with you on the trip in case you need to add more later. Getting to where you want to go without getting lost is whatever everyone wants when they’re on a road trip. But you need to be prepared if that’s going to be the case. 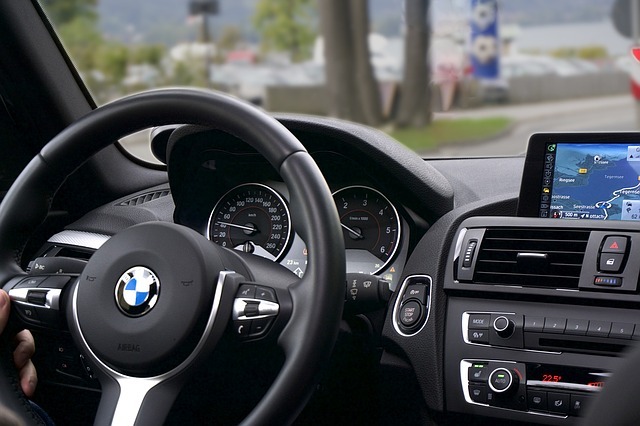 So, make sure that you have a modern and up to date satellite navigation system in the car. This should point you in the right direction every step of the way. But anyone who has used a satnav will know that they are not fool-proof. That’s why you also need to have a good old-fashioned paper map with you as well. This can help you out of a bad situation when the satnav has let you down. Sometimes, the old way is the best way. You should start to stock up on supplies when you are preparing for a big road trip. There are lots of things that you will need along your way, so don’t set off before having all these bases covered. First of all, you should have some food that is easy to preserve in the car. This can serve you well in the event of an emergency if you have no other food options. If you suffer a breakdown, suffering a lack of food is a real possibility, so don’t ignore this issue. You should also have blankets and pillows in the car in case you have to sleep in the car for whatever reason. You might not want this to happen, but it’s a possibility. As well as all the supplies listed above, you should be very wary of the water you have. It’s vital to make sure that you have enough water in the car, especially if you are driving for long periods of time. And the issue is even more pressing when the weather is hot and dry. You need to take large containers, and then you can fill them up with water whenever you stop the car. Getting dehydrated could damage your health, and even put your driving abilities at risk. You can never have too much water in the care. But you can certainly have too little, so don’t make that big mistake. There is always a chance that something can go wrong when you are on a road trip. And, if you’re not prepared for this, it can be a real challenge to deal with. Being on the road, you can often find yourself far from a garage when something does go wrong. That’s why you need to be prepared to make changes and repair the car as best you can. You will need to have a toolkit with you. It should have the basic tools that are needed to carry out simple repairs. And you should also have a spare tyre in the care in case you get a puncture. It’s a common problem on long journeys.